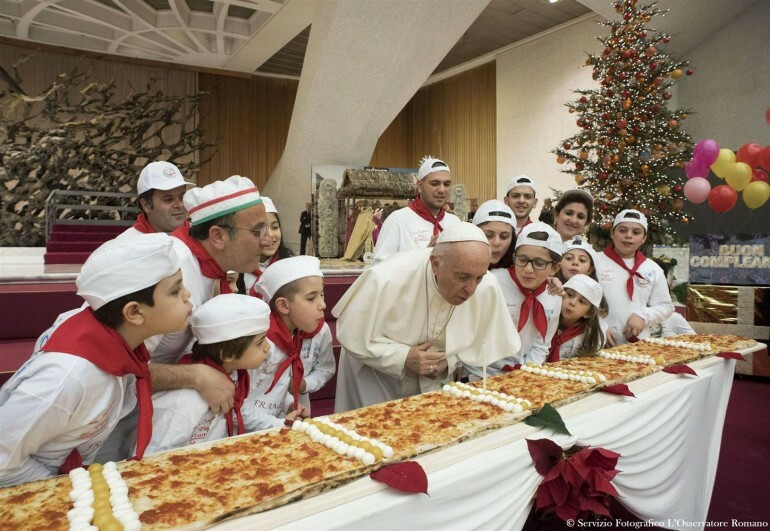 Before eating, he prayed the Hail Mary with the children, blew out his birthday candle, and then encouraged the kids to eat the pizza, jokingly saying it will make them grow. To keep the party going, thousands of children in St. Peter's Square shouted birthday wishes to Francis and brought along small images of Baby Jesus for the Pope to bless. According to tradition, these will be placed in Christmas nativity scenes in homes around the city. The now 81-year-old Pope also got a birthday cake offered by Roman pastry Hedera Sweetness and Co. 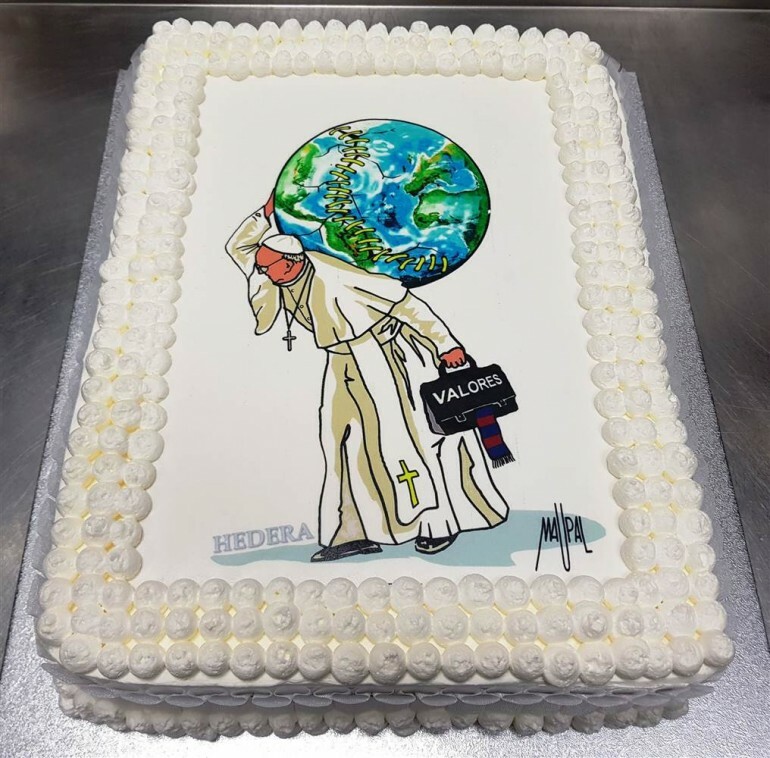 The cake was decorated with a drawing by Italian street artist Mauro Pallotta in which Pope Francis was walking with the earth globe on his shoulders and a briefcase with the “Valores” (Values) written on. According to Vatican News, last year, Pope Francis celebrated his 80th birthday by inviting a group of homeless people to join him for breakfast at his Santa Marta residence. Francis is the ninth-oldest pope at election (elected at age 76 years, 86 days). He became Pope after the resignation of Pope Benedict XVI on February 28, 2013. A papal conclave elected Jorge Mario Bergoglio as his successor on March 13. He chose Francis as his papal name in honor of Saint Francis of Assisi. Why Did Pope Francis Say The 'Devil Is Punishing Mexico'?